If you want to work from anywhere and travel the world it is most important to acquire the right skills. Once you do, you can work remote for a company, become a freelancer or work solely on your own projects. The more skills you develop the easier it will be for you to generate an income, but remember that this also takes time. That’s why getting paid to learn by your clients is one of the best and easiest ways to get started to work from anywhere and traveling the World. NEW: Join the web•work•travel community & connect to digital nomads in beautiful places, get inspired and ask all your questions. The more complicated the skill, the more likely it is to earn you good money. So while a highly skilled programmer will easily be able to finance his travels in South East Asia with a few hours of work per week, a copywriter will have to do a lot more to finance his travels. In order to help you to travel the world while working online I have composed a list of skills and jobs you can learn that can help you to easily generate a minimum income of $1000 a month by working online. This is not a lot if you live in New York, London or Munich but it’s definitely enough to fund your travels without having to save up too much money, simply by moving your office to the beaches of South East Asia or Central America and then grow your business from there. The following list is ordered according to difficulty, risk and income potential. Copywriting is not the best-paid job in the world, but if you are a Native English or German speaker for example, you can still easily make around $15 an hour – enough to finance your travels in countries with a low-cost of living if you work four hours a day. You can also specialize in SEO, which will help you to charge even more. Another great thing about copywriting is that you can gain a lot of experience by writing articles for others and getting paid for it, giving you a valuable insight into how other Internet entrepreneurs make their money. Chances are you already know how to write, so you could start today by applying for jobs on outsourcing sites such as Freelancer.com. These sites rely heavily on the reviews of previous clients, so to break into the market be sure to approach every bid with a personal note, sell yourself a little under value and deliver great content to those who give you the opportunity. Start low and once you have built your reputation you can charge more and make more. The more reviews you build up and the more professional you become, the higher the income potential. You have to like writing though, otherwise, you will probably end up hating the job and giving up on the way. Try to start off writing about subjects you have existing knowledge about or which you are passionate about – this may be music, travel, technology, business – whatever floats your boat – but the more you know about a topic the more likely you are to be hired and the less likely you are to get fed up writing about it. Once you have honed your skills you will find it easier to research and write about a wide range of subjects, thereby increasing your earning potential. Virtual Assistance is a very broad topic – and may be likened to being a jack of all trades but a master of none. E-Mail correspondence, answering Skype phone calls, data entry and updating websites are just some of the jobs you can do. This was actually the first online job I ever did, when I started to work for German and Swiss clients while living in South Africa. Within four months it allowed me to quit my job in a tourism agency, making the same monthly wage in just two weeks and spending the rest of my free time studying the online skills I was actually interested in. If you are not only a skilled copywriter but are also the master of two or more languages, translation can be a great source of income to finance your travels. The good thing about translation jobs is that living abroad can even be an advantage. For instance if you are Danish citizen and spend your time in Spanish-speaking countries, you are more likely to be offered work than your locally based Danish counterparts as your clients will feel more confident in your level of skill in both languages. Managing advertising on Google’s search engine and its content network has become a lot more complex over the last few years. Google even offers a program that will get you certified as a Google AdWords consultant – which helps if you want to manage campaigns for other businesses. Be aware though that you need to track what works right from the start as the marketing can become extremely expensive if you don’t set up the campaign correctly at the beginning. This is one of the online jobs I am still doing today. If you spend a lot of your day on Facebook, why not use it to make money. In fact, keeping their Facebook and Twitter accounts up to date and publishing new and interesting information is a headache for most companies. Taking over their fan pages and Twitter accounts and running Facebook ads is a perfect digital nomad job that requires minimal technical knowledge and can be done from anywhere. The only problem might be that when travelling and working you will be in different time zones, so you need to be a bit creative when doing your pitch that you want to do this while travelling. 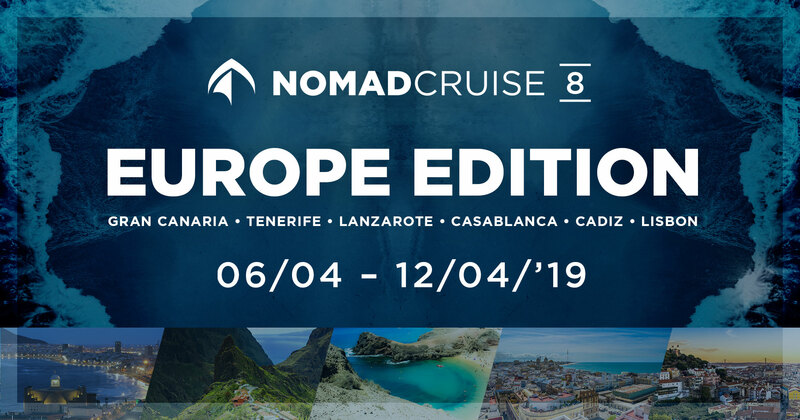 Become a Location Independent Social Media Manager in 2019 – Travel the world as a digital nomad, get consistent work online and become irreplaceable. Learning the basics in web design is easier than you think. If you study hard you can learn to build a website for clients in WordPress within a few weeks. You don’t even need to become a great designer for this since you can simply use WordPress themes from sites like Woothemes or Themeforest that will look great right from the start. Some knowledge of web design is important for most skills listed below and since the basics are so easy to learn I strongly suggest investing some time in getting to grips with the basics. One good way to actually start making money with web design is to first build a site for yourself about a topic you are interested in and then ask business owners you know personally if you could build a website for them. If you do it well, simply ask them for referrals to generate on-going business. SEO is the art of getting your own or your clients’ websites ranked in the top positions for profitable search queries. SEO is a perfect business to run from anywhere as long as you deliver the results. Web design and Copywriting are very important skills to know in order to learn the basics. You also need to be analytical to get the best out of the tools available to you. For everything else you simply need to gain experience, network with people who do the same and follow some blogs about the topic. Google changes its algorithms all the time but if you are able to keep up with the game and help companies to make money with SEO, you will ultimately do so as well. Becoming a great graphic designer with in-depth knowledge of Photoshop is not the type of skill you can learn within the matter of weeks. However, if this is your bag and you turn out work of the highest standards, many companies won’t mind where in the world you do your work. In fact there are many “Digital Nomads” who work as graphic designers to finance their travels. Like designing, becoming a great programmer is not easy and it takes a good few years of work experience to really get up to speed. Highly skilled programmers earn great money, and depending on the scope of the projects you are working on many opportunities exist to work and travel. Start by doing a few tutorials or courses to build up your knowledge of different programming skills. If you choose to become a Programmer however, make sure that you are passionate about the work you do. There will be a lot of hurdles along the way if you intend to become a pro and make a good living with it. But once you do the World is your playground. The demand for skilled freelance programmers is on the rise and hourly wages are high, making this one of the best freelance jobs you can have that enables you to live and work anywhere in the world. Consulting can be done online in any type of industry. Think about it. If you are working as a consultant already, there may only be a few things you need to change in order to run your business from anywhere. Whether law, marketing, HR or anything else is your specialism, be a bit creative and you are sure to find opportunities to move around and shift your office to the beach every once in a while. Online teaching is another industry that is on the rise. While this is not an area I know too much about, I was quite impressed by one teacher I met in Brazil. She seemed to spend just as much time kite surfing as teaching online. Whether its teaching English, conversing in Spanish or doing lectures for universities – the possibilities are endless. Obviously, the more qualified you are, the more income you will be able to generate through teaching. A lot of money can be made (and lost) by doing online trading like forex and stocks. But in order to finance your travels, you do need a lot of capital to start with or plenty of time and patience to grow your income and make profits. If you are unlucky you can also lose a lot of money very quickly, so while this scheme is great to for generating the income you should not solely rely on it to finance your travels. If trading stocks or forex sounds too boring for you, why not consider funding your work-and-travel lifestyle by learning Sports betting & Arbitrage Trading. Again I don’t know too much about this myself, but I understand there are certainly ways to minimize your risks and actually earn a living from betting on sports events. A reader recently sent me a very detailed guide on how to do this and his explanations made good sense, which is why I’m including it in this list as well. Affiliate marketing is performance-based marketing, where you can make money online by recommending products. The most important thing in affiliate marketing is that you generate a lot of traffic to your own websites or newsletters. So in order to do that and make a good living, knowledge of SEA (Search Engine Advertising) and/or SEO (search engine optimization) is a must. You will need to spend a lot of time and effort on generating traffic before seeing any profits. It is risky for many reasons, partly because it is easy for other knowledgeable affiliates to enter your market and also because many affiliates solely rely on search engine traffic – so if Google decides to change its algorithm your site can lose its rankings overnight and your affiliate income slump to zero. However, with hard work and a little luck, affiliate marketing might one day see you traveling the world all for only a few hours of work a week. Yes, there are many people who travel the world and finance their lifestyle by playing Online Poker. While I’m not sure if this is the most sustainable form of income in the long run, I know of people who are making a good living online while running their office from places like Bali, Costa Rica, Thailand, Argentina and Gibraltar. If you are smart, get the game psychology right and really take the time to master it, you could do it too. These days it is very easy to build an online store and sell products over the Internet. In fact you don’t even need a shop, you can simply join Amazon Marketplace or use eBay to sell your products. Amazon can even take care of shipping your products. What you do need however is a great product or very competitive prices in order succeed. If you don’t simply want to rely on Amazon and eBay to sell your products, knowledge about SEO, PPC and web design and affiliate marketing is also helpful. Making a living by simply running a Blog is extremely difficult. While many successful companies were started with a simple blog there are millions of examples of this not having worked. However, starting a blog and getting exposure for your services, whether you’re specialising in SEO, web design or online teaching, is very helpful. Not that anyone has ever said “I want to fill out surveys for a living”, but this is a really great opportunity to earn some decent sideline income while you work on your next big idea. This job has many perks and very little downside. For instance, it has absolutely zero startup costs, requires no previous experience and you can complete surveys from the comfort of your bedroom or even from a cafe on a beach in Sri Lanka – you can do it anywhere, anytime. It’s super simple and straightforward and there are plenty of sites you can choose from to get survey work. Heck, you can even sign up to them all and increase your income pool. Look, you aren’t going to become a baller millionaire overnight as completing surveys doesn’t hand out massive paychecks, but if you get into a rhythm and bust out a few a week the cash will start piling up in no time. You may soon discover that this is a great way to earn cash for fight tickets around the world or even for a new laptop. It’s up to you. Question: Is completing surveys online a good idea? A) Yes B) Damn straight or C) All of the above. So again, doing data entry work isn’t exactly top of the list for those wanting to work and travel full time but it is another really amazing opportunity to earn some steady alternative income to tide you over during slow or quiet months. It involves completing a few different tasks depending on the type of work you get, but mostly all consist of typing, data processing and entering data into spreadsheets. If you’re able to code then you can add your coding skills to your output too. You can find loads of data entry sites online, all you have to do is sign up and apply (some have minimal requirements) and you’re all set to start entering that data. It’s kind of drone work, meaning it requires little imagination and intricate thought. You’re simply gathering data from one or two places and placing it into another. So just plug in your earphones and get stuck in. Now besides everything mentioned above, many other opportunities exist for making a living online and traveling the world. I would categorize all of these under Online Entrepreneurship, as it would be impossible to summarize this full in this post. What you need is a great idea and the right execution. Building apps, selling digital products, creating passive income websites or a new start-up – for many people, this is the ultimate dream, but most fail in making it happen. Remember that becoming profitable will take time and hard work. It can also be extremely helpful to first understand the basics of many other skills, especially SEO, SEA, Affiliate Marketing, Web design and Copywriting. So what’s the best way to get started to work online and travel the world? I strongly believe that by acquiring new skills and getting paid for it by your clients is probably the best way to get started. No matter if that’s web design, Copywriting or social media marketing. Once you are making a comfortable income you can start working on your own projects to minimize client contact on your travels and making work from anywhere even easier. In fact, most people do it this way and you should too! There are enough opportunities for anyone to make a living off it and I wish you lots of success along the way! 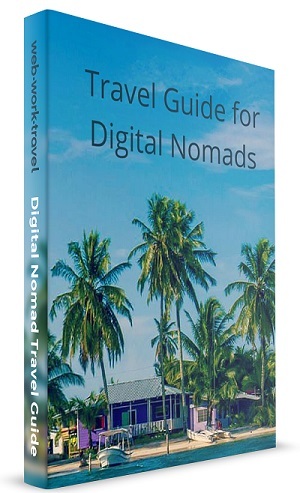 To learn about more ways how to get started to travel the world, I recommend you to also read how to become a digital nomad (it’s easier than you might think). I am interested in Social Media Marketing and Data entry operating . Great article, thanks for giving me further courage into hitting the road and taking my skills with me! Looking to make a extra cash? This is what I use free and easy.. Check it out! The problem with this digital nomad freelance stuff is that people from India and several other countries will undercut to take the work for almost nothing. These people often lack the real fundamental skill-sets to do the work properly, yet, many businesses just go the cheapest route. It is almost epidemic, I have been educating myself in IT, programming, graphic/web arts for 14 years now-these people get the work. No other way to beat around the bush here, it has to be mentioned. Thank you for taking time to compile and post this article. I am from South Africa, have a full time job but looking for something to supplement my income and yes have those travels as well. I noticed you said you started out in virtual assistance while living in South Africa. If you don’t mind my asking, can you refer me to websites I can apply for such jobs from. It is so difficult to get an online job in South Africa if you not careful, there are too many scammers around. I have given up hope and picked it up so many times. So when I read your post I thought well maybe it’s not reaching for the stars – it’s possible to get an online job in this country. I see this article is old but I do hope you get to see this. Thank you again for sharing this information with us. Seems like a lot of people like me are trying to find remote jobs from home, but to actually find a site with list of company’s hiring customer service reps outside the US is pretty mush imposible. How does it go with visa requirements? Or are you exempt from any special visa apart from a tourist visa to work from anywhere in the world? It seems a bit .. too easy and there’s not a lot of information on this side of the matter. How about selling your knowledge and skill at koocam.com? Everyone can sell and every knowledge is required. I can give you my advice. its free and i made over 500$ this month. I am a graphic designer staying in mumbai. I love to travel. I am looking for a graphic designer job in a travel company in mumbai. I don’t mind travelling for projects. If u have any job for please help me. Hi, I can not call you, but, if you know of any online customer service jobs I can do from home outside your country please let me know. Do you need anyone to work with you related to your web ? We are who we are by way of association. Would you be willing to teach me search engine advertising Johannes? Seems there are quite a lot of great opportunities for everyone. All you need is to master one of it. Most of them are placed on https://www.honestlance.com in particular job category. Are you still looking agents/distributors? I am a South African Citizen and a Permanent Resident in USA. I have a wish of being an affiliate or middleman/broker for any company that can help me make extra cash. I am a mother and a wife. I am looking for opportunities with companies that can allow me to visit South Africa and neighboring countries while working.